Part of the mission of the Indiana State Library (ISL) is to strengthen the services of all types of libraries by developing new services and consistently re-evaluating existing services. During the last six months, ISL has updated the rules governing two of its long standing state library services and introduced a new one, which promises to re-invent the way resource sharing is managed within the state. Since 1997, ISL has provided a heavily subsidized courier service, InfoExpress, to a wide variety of libraries around the state. Each courier stop costs the state $625 per year, but we subsidize that service so most libraries pay only $100 a year for one-day-a-week service. A typical year will have an average of a half million parcels moving around the state. Each of those parcels contains somewhere between one and 20 items, so the total number of books, videos, etc. that are circulating around the state each year easily exceeds five million items. One of the high points of this service is that our cost per item is a fraction of the cost of similar systems in other states. On Jan. 1, 2017, new public library standards went into place. These standards changed the way that the minimum number of service days is computed. This means that in July, when you renew your subscription to InfoExpress, all libraries will be required to subscribe to one-day-a-week of service for every 2,000 parcels shipped out. Thirty years ago one of my first library jobs was processing interlibrary loan requests for libraries that couldn’t afford to subscribe to the new OCLC ILL system. This state-library funded service still exists today under the name of IN-SHARE. In the years since that service was launched, very little has changed about the way we manage that system. It currently costs the state library approximately $25 for each and every request submitted. Since we had no limits on the membership or the number of requests they could place, this amounted to basically asking the state library for a blank check each year to provide a very expensive service to a small number of libraries. At the recommendation of the Resource Sharing Committee, IN-SHARE is adopting some new rules and guidelines starting this July. These guidelines will offer most libraries a set number of free requests each year, with a preference for the service going to the smaller libraries who normally would not be able to offer interlibrary loan service to their patrons. Any IN-SHARE requests that exceed that threshold will be billed at $5 for each additional request, far below what it costs the state library to process. These bills will be sent out quarterly and only apply to IN-SHARE requests that exceed each library’s threshold. 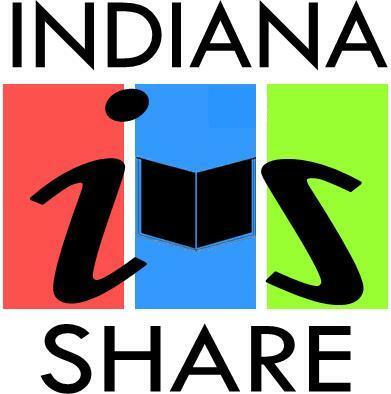 The third part of this resource sharing triad is Indiana’s new Statewide Remote Circulation System (SRCS). This is a new way for streamlining interlibrary lending requests between Indiana libraries. Instead of having to pay a staff member to search for, and request, each title, authorized patrons can place their own requests. Patrons search a statewide union catalog combining the holdings of nearly 200 Indiana libraries and identify the item that they want. If one of these libraries has a copy of that item currently available, and it is in a loan-able location and format, then the patron sees a Request This Item button. A SRCS request is still an interlibrary loan, but it cuts across the differences between the many different ILS in use by Indiana libraries and streamlines the requesting and processing steps. One of the drivers for the IN-SHARE changes has been the advent of SRCS. It has been estimated that approximately 75 percent of the items currently being requested through IN-SHARE could be filled faster and cheaper using SRCS. By combining SRCS and IN-SHARE, most libraries will be able to expand service to their patrons, while reducing their dependence on IN-SHARE. People often ask, “Does this mean IN-SHARE is going away?” The answer is “no.” By reducing the demand, and the cost, for IN-SHARE, the ISL plans to use the savings to underwrite the setup any annual connection fees for participating in SRCS. IN-SHARE will, of course, continue to provide the items that SRCS can’t provide, such as photocopies and out-of-state materials. This blog post is by Steven J. Schmidt, Library Development Office supervisor. For more information, contact Steven at (317) 232-3715 or send an email to StatewideService@library.in.gov.